DJ Boywonder has been banging out his unique blend of tribal, funky, and progressive beats since 1991. Originally from the Rochester area, it was while he was going to college 20 minutes north of NYC that he fell in love with the house and techno grooves. As a DJ and Music Director at the college radio station; he began really researching, practicing, and finding his unique niche. He later moved back to his native Rochester in 1994 and founded what's become the well-respected Brainfroot Productions, with some other local jocks. He quickly began making the upstate rounds playing frequently in the Buffalo, Ithaca, Binghamton, Albany, Syracuse, & Poughkeepsie areas as well as Rochester and beyond. As years went by, his maturity and experience behind the decks landed him gigs all over North America. The DJ Boywonder sound had arrived. He continues to bring his driving energetic bumpin house sound to venues in places as obscure as Winnipeg, Canada and as prominent as NYC and Toronto. 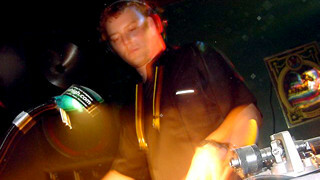 In 1996 he made the relocation to Binghamton, NY where he currently resides and continues to organize and DJ at events under the Brainfroot and Blunted Circutz platforms. Besides still traveling frequently outside the area, he presently holds down 2 residencies in central NY: The Loft in Ithaca and the long running Sunday weekly Chill-Out Sessions at Paddy's in Binghamton.